Markenfield Hall, and the Friends of Markenfield, publish a number of books and booklets which are available at the Hall or by order via this website. Publications available on this website are listed below. You can download an order form HERE and post it to us to purchase any item(s). A small additional sum is charged to contribute to postage and packaging. Written by Ian Curteis FSA, this 34-page history of the house and room-by-room guide is lavishly illustrated with period engravings, sketches and modern photographs. Designed and printed by Rebus Design. Written by Janet Senior, this is a comprehensive 98-page history of the remarkable family who built Markenfield in 1310 and who lived there for 250 years until disaster overtook them. Full of moving human stories and illustrated with family trees. Published by Black Swan Books. The Aspects of Markenfield are a series of (mainly) booklets produced by The Friends of Markenfield. As the name suggests, each booklet covers an aspect of the Hall. Five have been produced to date, and a sixth is in the pipeline. Westminster, London, 22 June 1836. It is a fine, fresh morning that will become hot as the day progresses. Crowds are gathering at the Court of Common Pleas. On trial is Caroline Sheridan, a beautiful and clever young woman who had been manoeuvred into marrying the Honourable George Norton when she was just nineteen. Ten years older, he is a dull, violent and controlling lawyer but Caroline is determined not to be a traditional wife. By her early twenties, Caroline has become a respected poet and songwriter, clever mimic and outrageous flirt. Her beauty and wit attract many male admirers, including the Prime Minister, Lord Melbourne. After years of simmering jealousy, Norton accuses Caroline and the Prime Minister of a ‘criminal conversation’ (adultery) precipitating ‘the scandal of the century’. In Westminster Hall that day is a young Charles Dickens, who would, just a few months later, fictionalise the event as ‘Bardell v. Pickwick’ in The Pickwick Papers. After a trial lasting twelve hours, the jury’s not guilty verdict is immediate, unanimous and sensational. Norton is a laughing stock. Angry and humiliated he cuts Caroline off, as was his right under the law, refuses to let her see their three sons, seizes her manuscripts and letters, her clothes and jewels, and leaves her destitute. 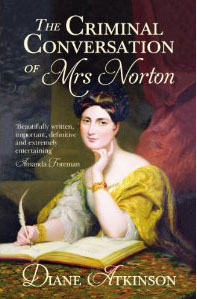 The Criminal Conversation of Mrs Norton is the extraordinary story of one woman’s fight for the rights of women everywhere. For the next thirty years Caroline campaigned for women and battled male-dominated Victorian society, helping to write the Infant Custody Act (1839), and influenced the Matrimonial Causes (Divorce) Act (1857) and the Married Women’s Property Act (1870), which gave women a separate legal identity for the first time. Caroline Norton was married to the brother of 3rd Lord Grantley. 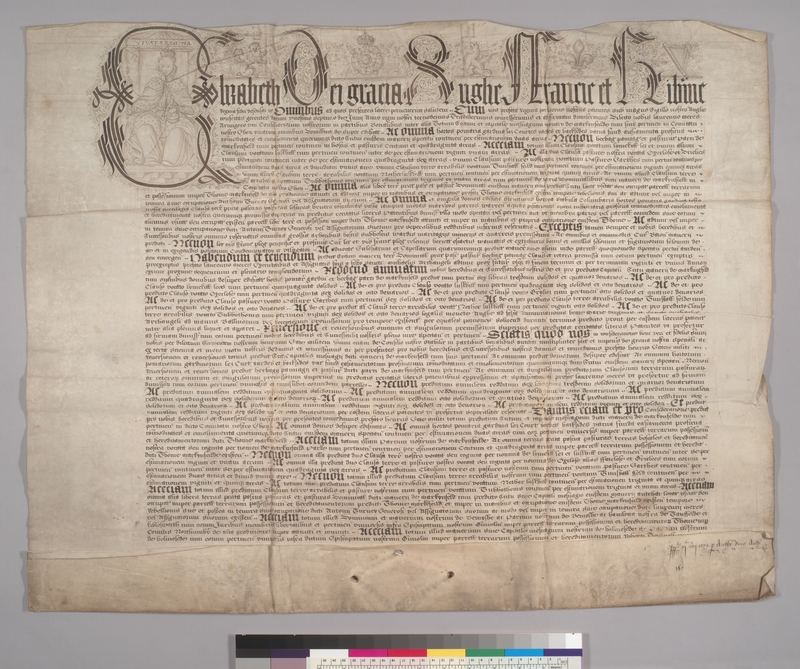 A number of her papers are held in the Markenfield Archive and the family were delighted to be able to help Dr Atkinson with her research. The original inspiration behind the Hall’s Literary Lectures in the Library – yet nowhere in this book does it mention Markenfield… at least not by name. We have never been able to ascertain the inspiration behind Wykenfield – the house in Suffolk described in the first part of this book – but if you choose to read it we think you’ll notice what we did.